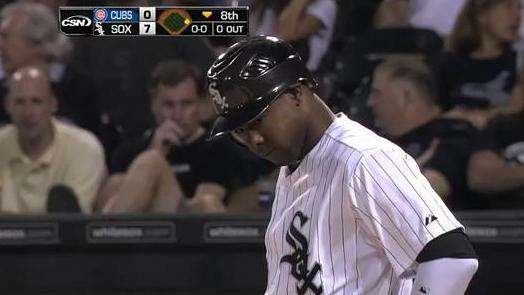 Alejandro De Aza contemplates just having been hit with a pitch. There is a persistent debate about the point at which a team should stop playing aggressively—the lead size that constitutes a blowout, and when it begins to matter. According the Cubs, those numbers are six runs and the seventh inning, respectively—at least if Alajandro De Aza is to be believed. The inspiration for the pitch—which De Aza felt was intentional (it certainly looked that way; watch it here)—was likely White Sox right fielder Alex Rios’ decision, after he led off the seventh inning with a single, to take off for second while his club led, 6-0. Either way, it was the final meeting of the season for the Chicago clubs, so we won’t see a response any time soon. And if De Aza and Corpas meet up during the off-season—you know, like friends do—they’ll hopefully come to the conclusion that the incident was strictly the business of the unwritten rules. That is silly. 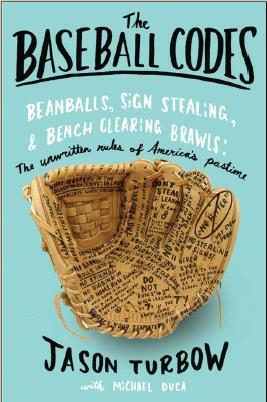 The way today’s baseball game is played and the “live” ball, there is no safe lead. Why then, managers still employ the “shift” on some batters regardless of the score?. In other words, a soon as a team gets a big lead (6 runs or over? ), the competition is over and the fans can go home after 7 innings. I do not buy that. That’s a really good point. I’d be interested to see how frequently the shift is utilized in blowouts. I’d guess not often, though the unwritten rules are generally geared toward finishing lopsided games as quickly as possible. Case in point: teams failing to hold runners on first in a blowout, with the understanding that they won’t run, which gives them a defensive advantage of playing the first baseman more toward the hole. If the point at hand is to finish a lopsided game as soon as possible, why then the next batter has to get hit? All it does is stop the action and possibly start a bench clearing brawl. Baseball is a unique game different from other sports. It does not depend on the clock for completion. On the other hand, fans hate to see a baseball player jog to first base on a ground ball hit to an infielder regardless of the score. Another thing. At what point of the game the players decide to stop hustling on a blowout?. Who makes that decision? There are more questions than answers.